Dr. Dirk Bringhurst is specialized in diagnostic radiology and family medicine, with a career in medicine of approximately 30 years. He graduated from the George Washington University School of Medicine and started his residency training at United Medical Center. The completion of Dr. Bringhurst’s residency followed at the University of Utah. Over the course of his practice experience, Dr. Dirk Bringhurst has also contributed to several medical publications. 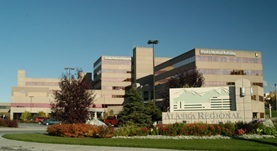 At the time, he is affiliated with Alaska Regional Hospital and accepts multiple types of insurance, including Medicaid, TRICARE, and Cigna. Dr. Dirk Bringhurst has contributed to 2 publications. Limbness in the early chick embryo lateral plate. Stephens, T. D., Beier, R. L., Bringhurst, D. C., Hiatt, S. R., Prestridge, M., Pugmire, D. E., Willis, H. J.; Dev Biol. 1989 May. Bright, D. A., Bringhurst, D. C.; West J Med. 1992 Jun.